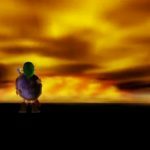 When Majora’s Mask was first released 15 years ago, a lot of us were entranced by all of the mysteries revolving around Termina. We were never given too much information about what’s going on in the story. This left us scratching our heads, an itch that lasted well over a decade for most gamers and now with the release of Majora’s Mask 3D, Aonuma is finally revealing more and more about the game. 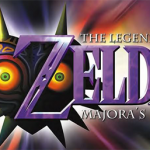 In a recent interview by Nintendo Dream, when asked about the origins of Majora’s name, Aonuma stated “Imamura who made the design for Majora’s Mask, invented the word by combining characters from the movie title Jumanji and from his name Imamura”, and added that he thought Majora was a great name, but was unsure about using it as the title for the game. The topic then moved to the origins of Termina’s name. Aonuma said it comes from the word Terminal meaning a place where people come and go. This came as a surprise to me as I had always thought it came from the word terminate, as it fits well with what the skull kid is trying to do to the land. The full interview between Aonuma and Nintendo Dream can be found here. They go on to discuss his favorite scene within the game, similarities between Anju and Cremia, and time travel. What are your thoughts on the interview? Did Aonuma shed light on anything that was puzzling you?